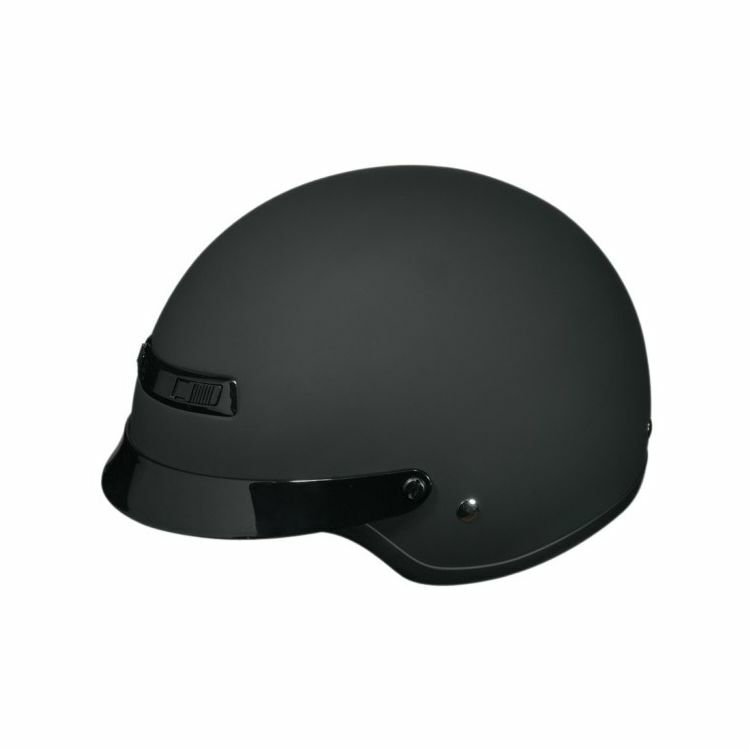 This classic helmet continues to offer both supreme fit and paramount safety while offering a dynamic style. The Nomad offers the freedom of the open road with the necessary protection. The Nomad is DOT approved and is designed to sit down on your head, not on top like so many other "mushroom top" 1/2 helmets. Unlike others, the Nomad's removable neck curtain provides extra coverage and includes pockets for the rider's communication system. With versatile looks and one of a kind fit, the Nomad sets the standard for classic styling and modern performance. Note: The Z1R Nomad has a round internal headshape. It works well for for riders who need more room from ear to ear, but conversely, it does not work well for riders who need more room front to back. This helmet was not for me. It does sit low on your head(mine folded the tops of my ears over it was so low), BUT the claim "no more mushroom head" is a lie. You just look like a short mushroom head. Sent mine back for refund. Revzilla is great, this helmet not so much. Save yourself the time, trouble and return shipping. It cost me $8 to discover the manufacturer doesn't know what mushroom head me and. Vents and I know how this brand fits, will be my 3rd from them.